Gold’s breach of nearby support last week freaked out some longs of a nervous disposition. However, it did no technical damage of any significance, as we can see on our latest 3-year shown chart below on which we can observe that it is still above important supporting trendlines. This chart shows that last week’s drop was just a “storm in a teacup”. 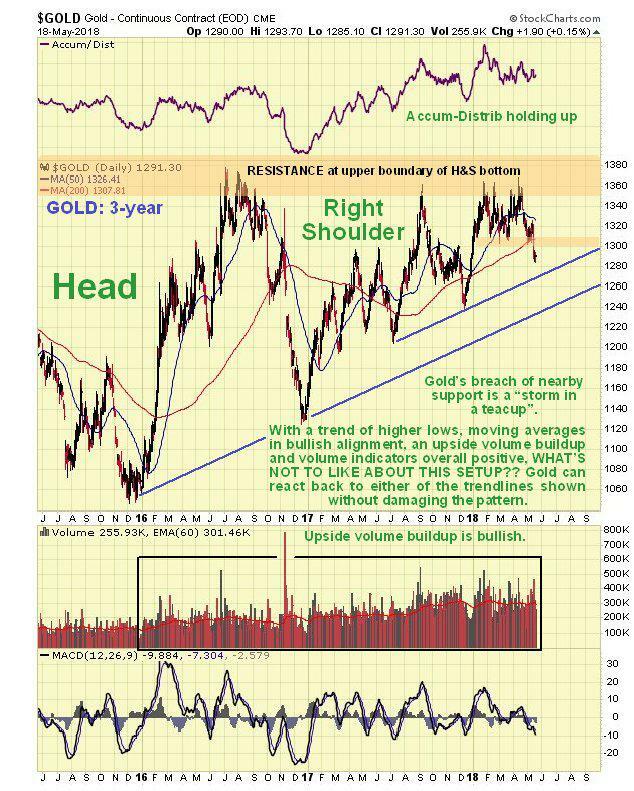 Recall that the pattern that has been forming since mid-2016, for nearly two years now, is the Right Shoulder of its giant Head-and-Shoulders bottom that may be viewed on the 8-year chart in the last Gold Market update. 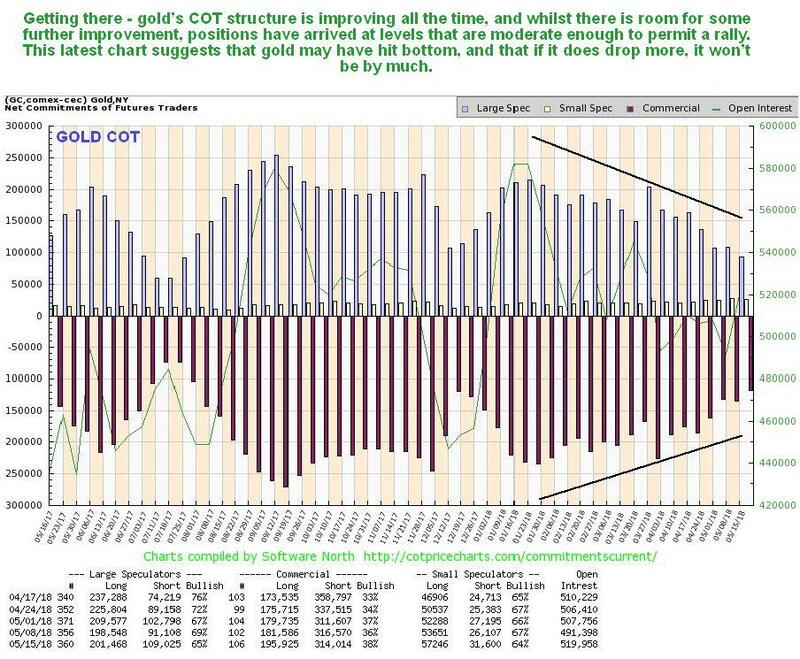 Last week’s drop actually improved gold’s technical condition by flushing out more jittery Large Specs, as we can see on its latest COT chart. 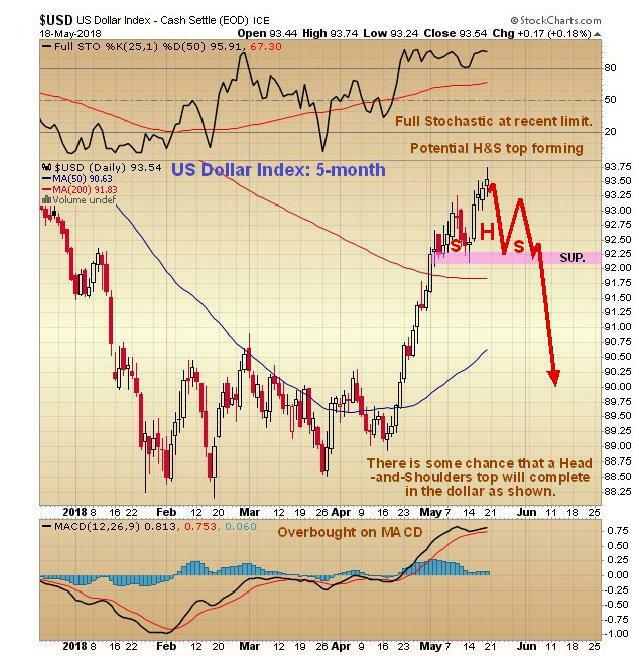 Whilst there is room for further improvement, positions are now at levels that are moderate enough to permit a rally, which will happen if the dollar reverses here or soon. Turning to the 3-year chart for silver, we see that its technical condition is becoming extraordinarily tight, with fluctuations narrowing into a very tight range. This is a situation that must lead soon to a big move, and for a variety of reasons, that move is expected to be to the upside. 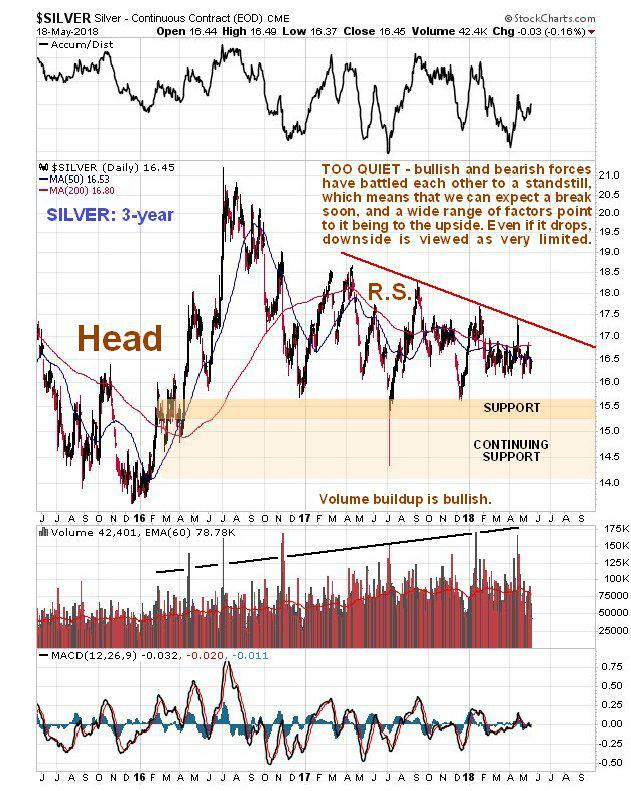 Recall that the pattern that has been forming since mid-2016, for nearly two years now, is the Right Shoulder of its giant downsloping Head-and-Shoulders bottom that may be viewed on the 8-year chart in the last Silver Market update. 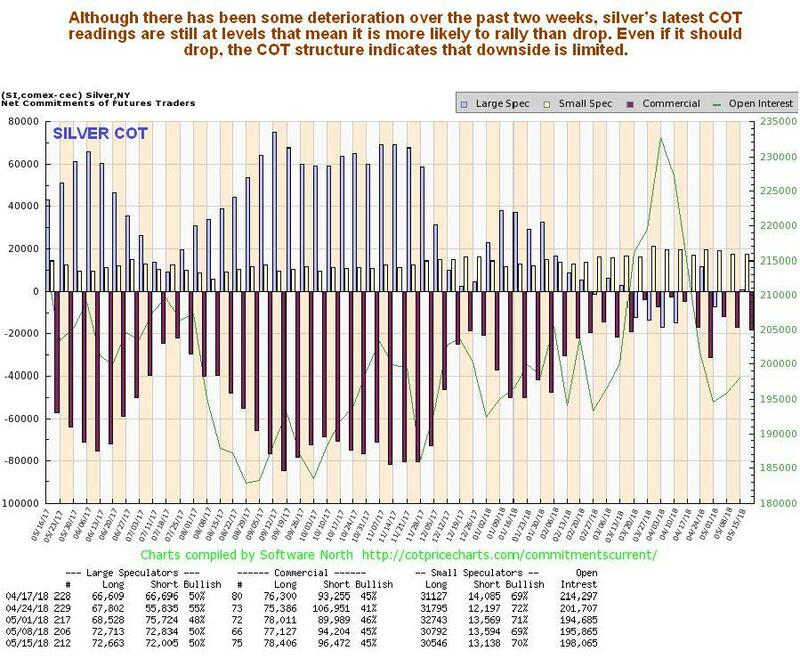 One important reason that silver’s next big move is expected to be to the upside is its COT structure, which is still more bullish than gold’s, with relatively low Commercial short positions and extremely low Large Spec long positions. Although this COT has deteriorated somewhat over the past two weeks, it remains strongly bullish. Even though gold and silver’s charts and COTs remain strongly bullish, as we have just seen, many are worried that the party will be ruined by a continuation of dollar strength, with it now being widely assumed that it will carry on ascending, so how does its latest chart look? With regards to possible reasons why the dollar might reverse here we have some interesting news out of Europe in Brussels Rises In Revolt Against Washington. that, tired of being dictated to by Washington, in addition to not obeying Washington’s commands that it pull out of the nuclear treaty, it is taking steps to circumvent the use of the dollar when buying oil from Iran.